India is a country of vast diversity, not only in regard to climate and culture but also because each place in this beautiful country has its own peculiar characteristics. Known as one of the most important business hubs, the state of Gujarat is the fastest developing state in the country and is well equipped with high technology. A major commercial hub and former capital of Gujarat, Ahmedabad is one of the liveliest cities in the country. However, even the most colourful of all cities can get mundane after a point of time. So, if you want to take a weekend trip not so far away, there is one city you can go to which is the home to most of your favourite dairy products. The city of Anand is less than 80 km away from Ahmedabad and will make for a perfect weekend getaway. As the region around Anand experiences a hot and semi-arid type of climate, it is advisable to visit Anand during the months of the winter season, from October until the end of March, when the climatic conditions are favourable enough, letting you enjoy comfortably. By Air : You can take a flight to Ahmedabad airport and then from there, you can hire a cab or catch a bus to Anand, which is at an approximate distance of 80 km from Ahmedabad airport. By Rail: There are direct trains available from Ahmedabad to Anand. You can catch a train from Ahmedabad Junction to Anand railway station. By Road: Anand is well connected to Ahmedabad by road and hence, is easily accessible. You can either take a bus or hire a cab from Ahmedabad to Anand. Also referred to as Nadgam, the city of Nadiad is said to be home to rope dancers due to which it got its historical name Natapadra. This city is also known for its close association with the number nine. There are 9 exits from the city of Nadiad, which lead to 9 different villages or towns; there are also 9 step wells and 9 lakes around the city. You can also savour some time in and around the temples and churches in Nadiad. If you love dairy products you would definitely love to visit a city that is home to most of the dairy industries in India. 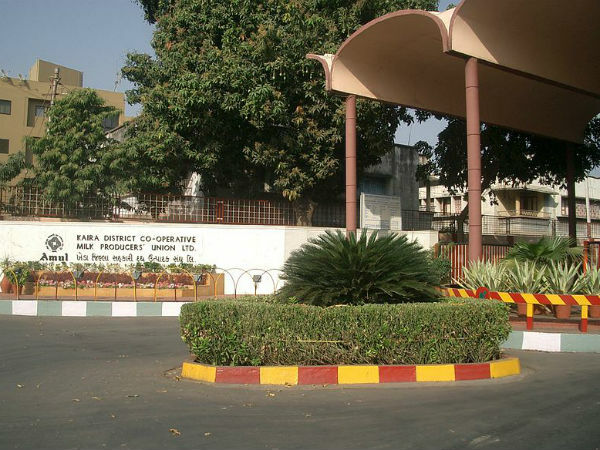 The city of Anand became famous and came to limelight as the milk capital of India. after Amul's milk revolution. Over a period of time, it became one of the major commercial centres in Gujarat and has been revolutionising the dairy industry in India. How about visiting the city of Anand and relishing the best of dairy products in the milk capital of India?